Stresses and struggles are all too common in modern life. With heart-felt honesty, Nicola Jane Hobbs shares her story of triumph over mental illness using the power of yoga to transform her life. 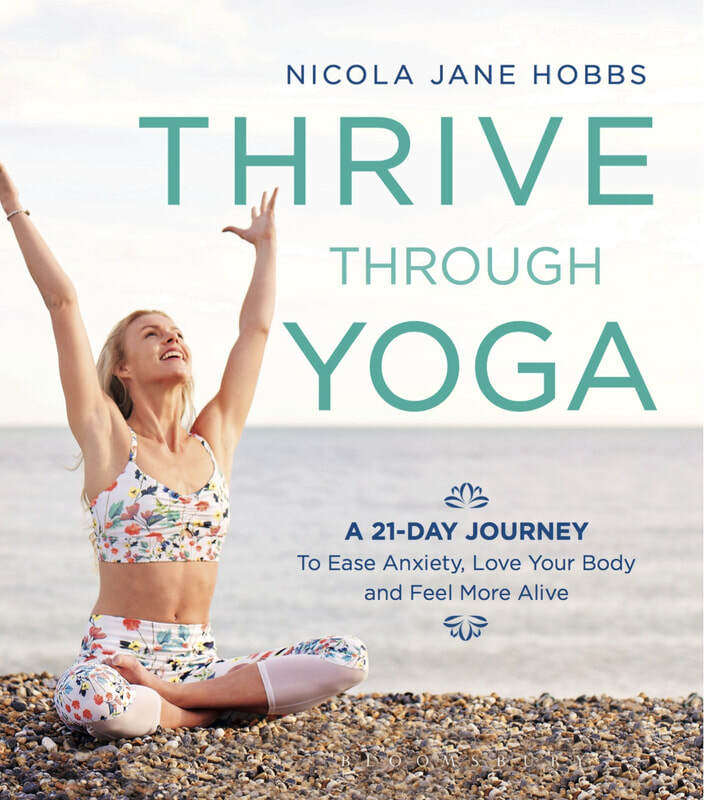 In Thrive Through Yoga, Nicola unites ancient wisdom with modern science to create a revolutionary route to freedom from the anxieties and worries of 21st century living. In this life-changing 21-day journey, Nicola maps out a clear path to healing and personal growth through daily yoga routines, heart-centred explorations, inspirational quotes and meditations. Nicola offers us the inspiration, guidance and courage we need to let go of whatever is holding us back, transform struggle into strength, and grow as bold and brave and beautiful as we were born to be. This book will show you how to grow in confidence, courage and compassion, to feel hope, connection, and belonging, to live and love with your whole heart. It will help you blossom, flourish, and feel what it means to be truly alive. This book will show you how to THRIVE. To help your Thrive Through Yoga journey, you can find a selection of meditations from the book HERE and a video of the Thrive Sequence below.